In our "throwaway" society, with landfills filled to capacity, interest in incineration- and conversion-based waste management technologies continues to grow. Increasing net waste generation rates within U.S. metropolitan centers, skyrocketing transportation costs for waste hauling, and the enticement of increased electrical revenues from "green" power sources all amplify the need for better technologies. 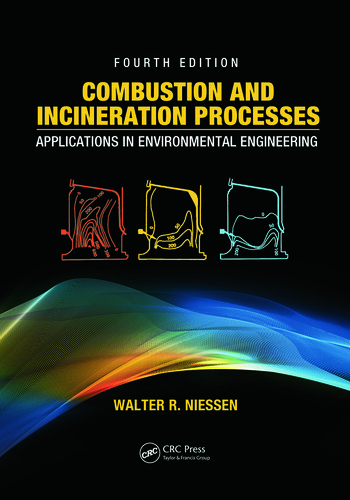 Written by an internationally renowned expert with fifty years of experience, Combustion and Incineration Processes: Applications in Environmental Engineering, Fourth Edition has been updated to reflect the latest advances in the field, keeping pace with the evolution of complex and interdisciplinary technology that can better the environment. 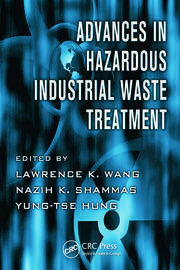 Detailing the changes that have occurred since the previous editions appeared, this volume’s expanded scope includes additional details, data, and graphics regarding the design and operational characteristics of municipal and industrial waste incineration and conversion systems and numerous refinements in associated pollution control. Achievement of true Zero Waste, or the eradication of landfills, will likely require thermal processing to economically extract the ultimate useful value from waste residue after minimization, reuse, and recycling. The latest technical advances continue to evolve and attract increased attention, and this book provides the requisite technical education and guidance to those responsible for selection and procurement of these new systems. Mr. Walter R. Niessen, the president of Niessen Consultants (Andover, Massachusetts), is an internationally recognized consultant in process analysis, design, impact assessment, planning and start-up, and operations assistance drawing on 50 years experience in applied combustion technology, air pollution control and solid, sludge, liquid, and gaseous waste management. He has prepared over 95 technical papers, contributed chapters to nine environmental engineering books, and authored the definitive text and reference Combustion and Incineration Processes. He has been involved in numerous solid waste and biosolids management planning studies and implementation projects for industry and for small jurisdictions through larger cities and regions; and in numerous international assignments in the Caribbean, Europe, Africa, and Asia. Mr. Niessen received his BS (1960) and MS (1961) in Chemical Engineering from the Massachusetts Institute of Technology. He is a Board Certified Environmental Engineer in the American Academy of Environmental Engineers in both solid waste and air pollution control and member of the American Society of Mechanical Engineers (ASME), the American Institute of Chemical Engineers, Sigma Xi research honorary, and the Air and Waste Management Association. He is a registered professional engineer in Massachusetts and New Hampshire. Among his honors, he received the Pioneer Award of ASME and the IT3 in 2008 for his lifetime educational and research efforts in incineration and waste management. He served as a Senior Vice President with Camp Dresser & McKee Inc. (CDM) from 1976 to 1997 where he still functions as a senior consultant with the firm. Prior affiliations were with the U.S. Air Force; Arthur D. Little Inc.; Bolt, Beranek & Newman; and Roy F. Weston Inc.
"…well presented … a must … contains a wealth of information … has particular relevance to those dealing with environmental problems."